Bogie, Astor, and Greenstreet in the Maltese Falcon! Academy Award Theater - July 3, 1946 - The classic screenplay brought to radio with the original cast. 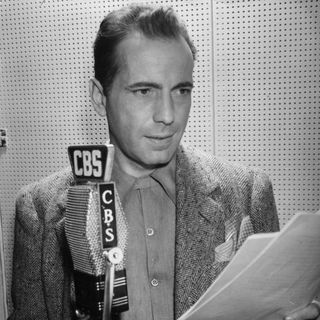 Bogie's Sam Spade never better, as the search for that fabulous statue continues. Starring Humphrey Bogart in the lead role as Detective Sam Spade along with Mary Astor and Sydney Greenstreet, all of whom appeared in the 1941 Warner Brothers movie The Maltese Falcon.